Unilever launched Axe Peace during the NCAA March Madness Basketball Tournament. The college student market represented a key demographic for this product launch. The promotion included a coupon redeemable at Walmart stores. Both Unilever’s digital and traditional media agencies engaged OnCampus to help plan and execute its campus media strategies. Students were directed to redeem their Axe coupon at local Walmart stores close to campus. 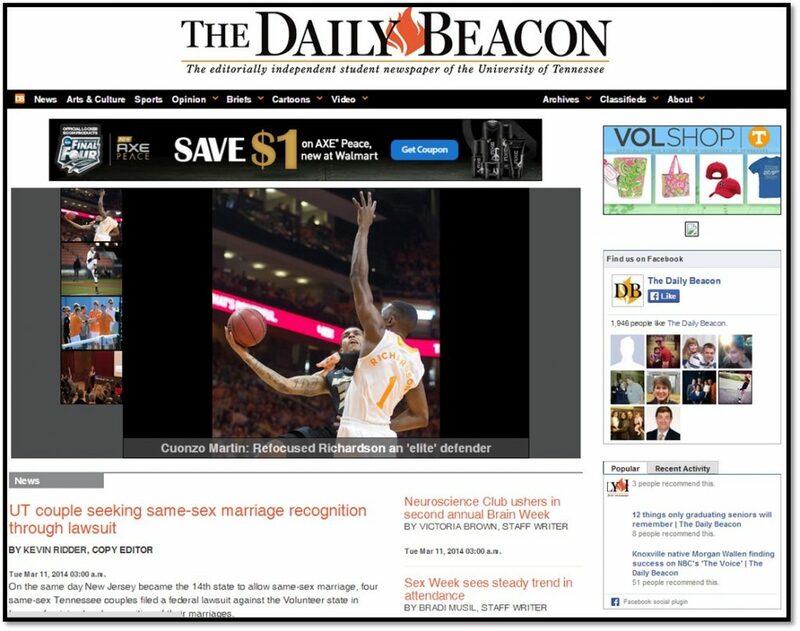 OnCampus developed and executed a digital and out-of-home campaign targeting 170 Division I College Basketball schools. 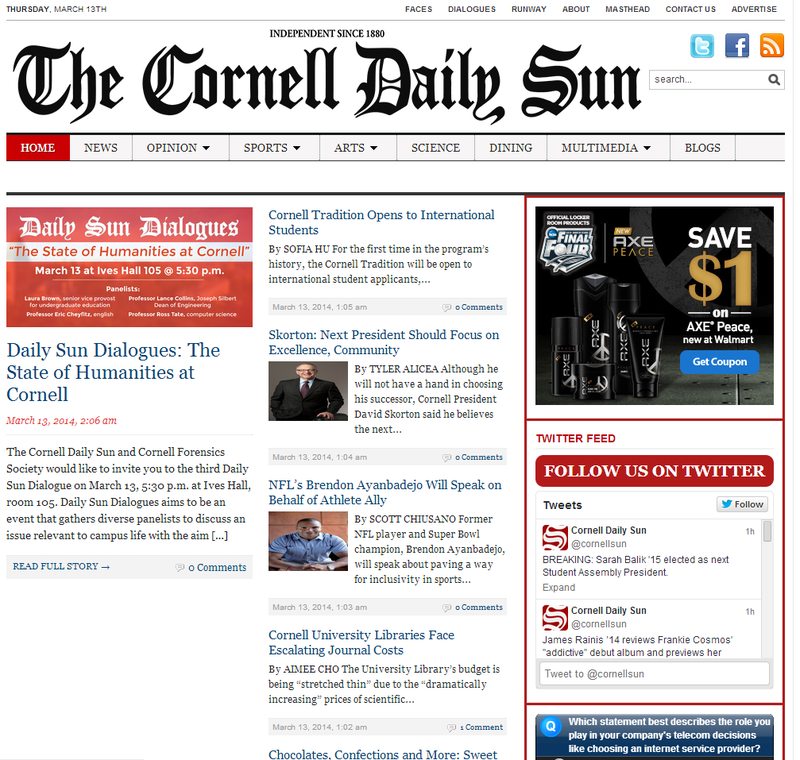 Digital creative ran across 170 college newspaper websites within the oncampusWEB network simultaneously with 420 out-of-home displays. 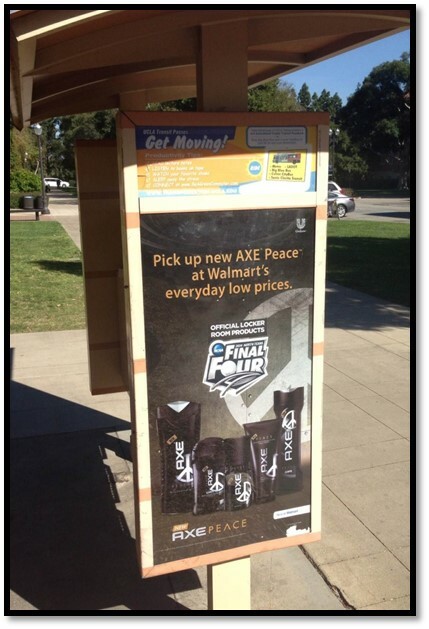 The combined strategy utilizing digital and OOH amplified the Axe Peace coupon promotion over the month of March Madness. The campaign delivered 6.5 million digital impressions and over 2 million student OOH impressions at 170 campuses across the country.